This growth rate is the highest recorded since 2013 and means Portuguese house prices are now at the highest levels since the INE began its surveys in 2009. The cities of Lisbon and Porto, the fashionable Estoril and Cascais coastline and the famous Algarve in particular are driving this growth. 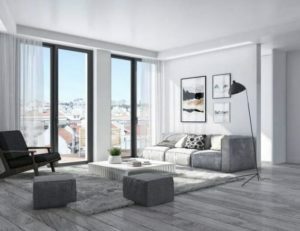 Foreign buyers are playing their part, thanks largely to two programmes – the Golden Visa and the Non-Habitual Resident (NHR) schemes.Portugal’s property market is booming in 2018, as investors and relocators, both local and foreign, discover the lifestyle and commercial benefits of buying there. During the first three months of this year average house prices were 12 per cent higher than the same period in 2017, according to the country’s National Statistics Institute (INE). Equally impressive, the value of property sold during the same period grew 25 per cent year-on-year. Portugal introduced its Golden Visa scheme in 2012, primarily as a way to attract non-EU citizens to invest in the country. In return for investing €500,000 in property or €350,000 in a Portuguese investment fund, qualifying applicants are granted residence status and can then apply for Portuguese citizenship after six years as a legal resident. Portugal’s Golden Visa scheme was recently ranked as the world’s best residence-by-investment programme for the third year running, according to an annual report by international citizenship planning consultancy Henley & Partners. To date, a reported €3.5 billion has been injected into the Portuguese economy as a direct result of Golden Visas, 95 per cent of which went into real estate. Approximately 30 per cent of all foreign property transactions in 2017 were done with the objective of getting residency status. Meanwhile, it is Portugal’s NHR scheme that is especially appealing to British citizens, especially retirees, who currently can move to Portugal as EU citizens. Under the scheme, foreign citizens who move to Portugal can receive most types of foreign-sourced income completely free of Portuguese taxation for ten consecutive years. The scheme also extends to foreigners who relocate to work in specially designated ‘high value-added’ professions, whereby they pay income tax at a flat rate of 20 per cent.